I am 9 weeks away from my due date. In the final countdown now! This will make baby #3 in three years. Yes, we’re probably just a little bit crazy, but I wouldn’t trade the crazy for normal. I have kept a fitness routine with all three pregnancies–this pregnancy being my most active. Again, this works for me and I listen to my body always. But maintaining a healthy fitness regimen has eased all aches and pains during this pregnancy. Of course since I’m approaching the end of this pregnancy fast, I am already starting to think about postpartum recovery and returning back to my pre-pregnancy weight and physique. I have a few steps I follow once baby is born to make sure my body is on the fast track to healing well. Before we dive in, I want to clarify a few things. Getting back in shape after giving birth is a great goal to have in mind, BUT do not focus your attention only on that. Surprises can happen along the way, many which you didn’t plan for or even think possible. Give your body the adequate amount of rest it needs in order to function as a new mama and care for your precious babe. Achieving your pre-pregnancy body doesn’t always have to do with getting back to pre-baby size and losing the baby gain. Truth is, getting back into shape post birth isn’t focused primarily on losing weight and squeezing into your favorite pair of jeans. 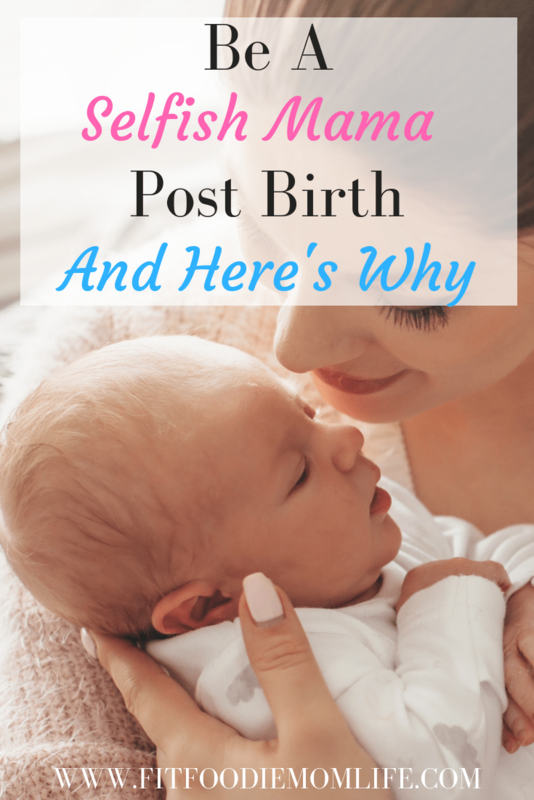 You can search around Google and find plenty of blog posts advising new moms what forms of exercise to perform following birth. It can be overwhelming and confusing when you discover equipment suggestions such as a pilates reformer or a punching bag. If you just had a baby, then a lot of your focus will, of course, be on your newborn. It’s important to shift some of that focus on you as well. Hormones play a big part in how you’ll feel day to day. So please try and make it a priority to nourish and love yourself. Overloading your body and not resting enough can set you back. The best mother’s are rested mothers. I know for some of you this sounds impossible. I’m with you. This past summer I joined the YMCA so I can workout daily and not have to worry about entertaining my children. But find something for you, even if it’s only 30 minutes to an hour. Your head will be clearer and you will feel refreshed and ready to take on whatever the day and baby throw at you. It’s so important to not lose yourself in this new season of life. I understand it’s easier said than done. By March I will have 3 children: 3.5, 2, and a newborn. Yes, I am aware that the days will be chaotic and always changing, but I am determined to keep up my 2 hour visit to the Y daily. It’s healthy for my body and mind. In addition, it’s SO important to keep dating your spouse. Welcoming a new baby is an exciting time, but also super busy and with plenty of stress and questions. But always remember that your spouse came first and when the kids are all grown, it’ll just be you and your spouse. Don’t forget to date each other. Okay, I get it. This one sounds silly. Yup, but when baby naps (especially during those first few weeks), you need to nap or rest. I’m not sure how I will tackle this one yet, especially since my 3 year old doesn’t nap anymore. But having three in three years and a husband who travels often due to his job, I will need to catch sleep somehow throughout the day. This may mean implementing “quiet time” for my three year old and snuggling with my baby and 2 year old. However it works out, make sure you’re taking care of yourself too. Perhaps the most obvious or thought of when it comes to getting back into shape. There are plenty of benefits when it comes to working out after you have a baby. However, you need to get cleared from your doctor or midwife and take it slow. You just birthed a human being out of your body. That is the HARDEST workout ever possible. Exercise will release endorphins into your body that will naturally lift your mood. And attending a yoga class, for instance, can be a much needed break to replenish your energy and go full-power in mom mode. I know it can be overwhelming welcoming a new baby into the family. Whether it’s your first or fifth, the adjustment is always real and new at first. Take your time getting back into your routine and enjoy your new little one. I understand the desire to achieve your pre-pregnancy goals, but baby is only little once!